The browser maker is now serving replacement ads to as many as 1,000 volunteers who agreed to help test out the company's plans. 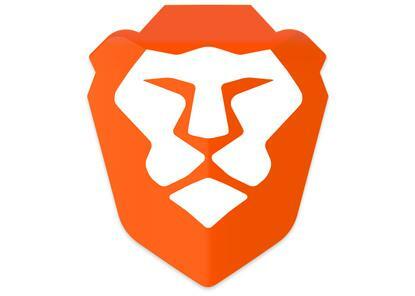 The builders of the Brave browser have begun serving replacement advertisements to volunteers, a key part of a business model that relies on stripping others' ads from web pages. "We're now ready to start voluntary testing of our ad model before we scale to further user trials," the company wrote in a post to a company blog last week. "Once we're satisfied with the performance of the ad system, Brave ads will be shown directly in the browser in a private channel to users who consent to see them." The initial testing will be limited to users who raised their hands when Brave Software asked for volunteers in March. By the replies to that call, as many as 1,000 responded to join what the firm dubbed "Brave Early Access." The guinea pigs will be provided with a customized version of the Brave browser loaded with 250 ads that will run in rotation. Detailed logs will be kept of those browsers' users' interactions with the ads, said Brave, and transmitted to the company to generate "algorithmic test data to check our on-device machine learning." Expanded trials will take place over the coming months, Brave asserted, boosting the number of users and advertisements. At an undetermined point, Brave will add the Basic Attention Tokens (BATs) that form the foundation of the firm's unusual business model. Brave is a niche browser - its user share is so small that U.S.-based analytics vendor Net Applications doesn't even track it - best known for its business plan: Block all ads, as well as ad trackers, shown by website publishers. Brave will scrub sites of ads and ad tracking, then replace those ads with its own. Meanwhile, BATs will be awarded based on user attention, or put plainly, time spent viewing ads and content. Brave users who agree to receive ads will be rewarded with BATs. The tokens, in turn, will be exchanged between users, advertisers and site publishers. The tokens earned by users can be kept by them in a digital wallet or passed to publishers as support for those publishers' sites. Alternately, Brave envisions users trading tokens for premium content or advanced site features. As of today, June 25, a BAT was worth 25 cents. The token value peaked at 86 cents in January. Brave's strategy has raised hackles since it debuted two years ago. Several publishers filed a complaint with the Federal Trade Commission (FTC) in May 2016, alleging that Brave and others violated federal deceptive practices and unfair competition laws. The newspapers objected to the idea that a micro-payment system like Brave's was a suitable replacement for existing ad revenue. Brave has garnered attention because of its ruthless purging of all advertisements and ad trackers. But while it's assembled an infrastructure (and the 2.7 million monthly active users the company claimed earlier this month) bigger browsers have made moves of their own on the web advertising front. Google's Chrome launched its own ad-elimination effort this year when it turned on blocking technology meant to eradicate the most annoying types of online advertisements. Mozilla, meanwhile, has pledged to add an ad filter to Firefox before year's end. And this fall, Apple will release Safari 12 - on both macOS and iOS - with even tighter limits on ad tracker efficiency, work the Cupertino, Calif. company has highlighted as protecting customers' privacy. In other words, Brave is not the only game in browser town when it comes to removing (some) ads and strangling (some) ad trackers.